When you are building a starting rotation it is usually wise to fill it with five different human beings. That’s par for the course and teams don’t tend to deviate from it. Four-man rotations can overburden arms, and cloning is far too expensive to be a feasible roster-building option. However, the New York Yankees have two guys that are suspiciously similar. Their different sizes and appearances seem to indicate that they are different entities, but their statistics leave some room for doubt. Both were effective judging by fielding-independent metrics, and did a good job of keeping the ball on the ground, but were still undone by unfavorable BABIP marks. As a result, it would be reasonable to conclude that both were equally good last year and equally strong bounce-back candidates for 2016. The difference between the two is surprisingly significant because they arrive at similar results through different means. The most important example is strikeouts and walks. 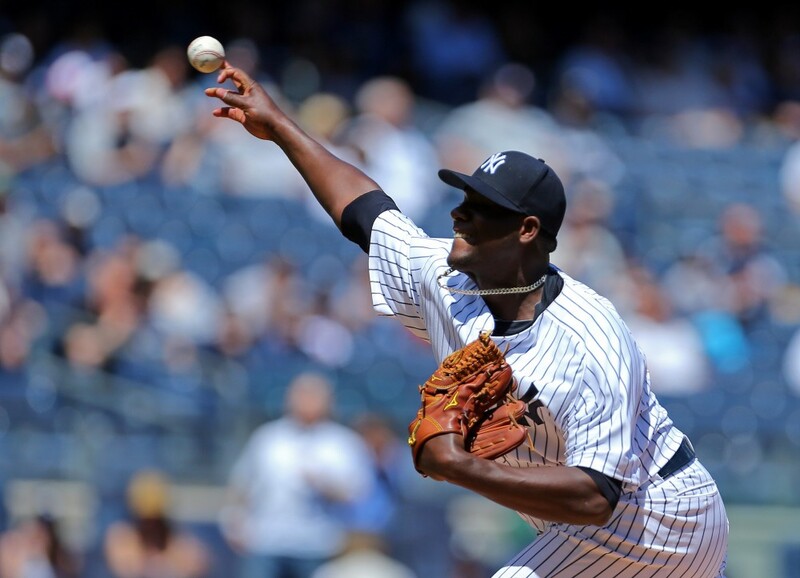 Pineda maintains a low FIP with an extraordinary 7.43 K/BB ratio. Eovaldi’s mark, on the other hand, is 2.47. The former Mariner has excellent control and the ability to miss bats consistently. Those are arguably the most important skills a pitcher can possess. Eovaldi’s low FIP, and the relatively high WAR that results from it, has a different source. What he specialized in was preventing long balls, allowing only 0.58 per nine innings. Not only does is that a fairly luck-reliant statistic, but having such a favorable result while pitching at Yankee Stadium is highly irregular. In theory, Eovaldi could have found some kind of secret sauce that’s keeping the ball in the yard, but it’s safe to assume that he’ll have a hard time repeating what he accomplished in this domain last year. With a normalized HR/FB his xFIP sits at 3.81 — a tidy number, but hardly an extraordinary one. Meanwhile, Pineda’s xFIP was an excellent 2.95, even better than his above-average FIP. Superficially, the two hurlers look to offer similar statistical profiles, but all things being equal the smarter money is on Pineda getting over the run-prevention hump next season. Eovaldi does have durability on his side and an intriguing new splitter, but despite his elite velocity he simply doesn’t blow batters away. Pineda and Eovaldi are less similar than they appear on paper, although probably more alike than they appear in person. Both are interesting talents, but by this time next year we won’t be comparing them so closely. Pineda is likely to either surpass his strikingly similar teammate behind his superior underlying numbers or fall victim to a gruesome injury.